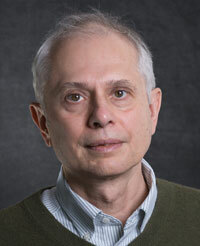 Michael Podgursky is the Middlebush Professor of Economics at the University of Missouri – Columbia, where he served as department chair from 1995-2005. He is a member of the Strategic Planning Group and leads the work of the CALDER Missouri team. Dr. Podgursky serves on the board of editors of Education Finance and Policy, Peabody Journal of Education, and the advisory boards for the National Center for Education Statistics, the National Research Council, the National Center for Teacher Quality, American Board of Certification of Teacher Excellence, WESTAT and Mathematica Policy Research. Dr. Podgursky has published many articles and reports on teacher compensation, teacher quality, and teacher labor markets, and co-authored a book,Teacher Pay and Teacher Quality. His research has been supported by federal and state agencies as well as several private foundations. He is also a co-investigator at the National Center for Performance Incentives at Vanderbilt University. Prior to the University of Missouri-Columbia, Dr. Podgursky was on the faculty of the University of Massachusetts at Amherst (1980-1995). He is a member of the American Economic Association, American Education Finance Association, and the Society of Labor Economists. He received his Ph.D. in Economics from the University of Wisconsin-Madison.